With the densest moose population in North America, Newfoundland is a moose hunters’ paradise. 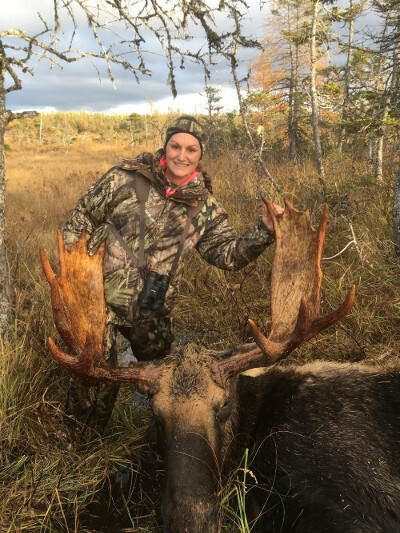 The province boasts more than 120,000 animals, and non-residents seeking a hunting experience have a 85%-95% success rate for bringing home a moose. Here at Gander River Outfitters and Lodge, we provide a 1:1 guide-hunter ratio for our six day hunt packages. Located in Moose Management Area 22, we strive to keep our success rate high and will never have more than 4 hunters in the camp at one time (unless otherwise requested). With a lodge that is accessible only via Gander River boat, we are confident you will have a successful and one-of-a-kind hunting experience. Our hunts, though challenging, are perfect for older and less mobile hunters, as we utilize the 67km long river for many of our hunts. The rut action is hot on the Gander, and chances of calling out a bull within a few kilometres from the camp are very good. Post-rut, is also an excellent time to harvest an animal, as many moose are seen feeding on the river in early morning and evenings. While there is the opportunity to harvest large trophy bulls in our area, we promote our hunt as a moose hunt and concentrate on success. We are certain that your hunt with us will surpass your expectations. 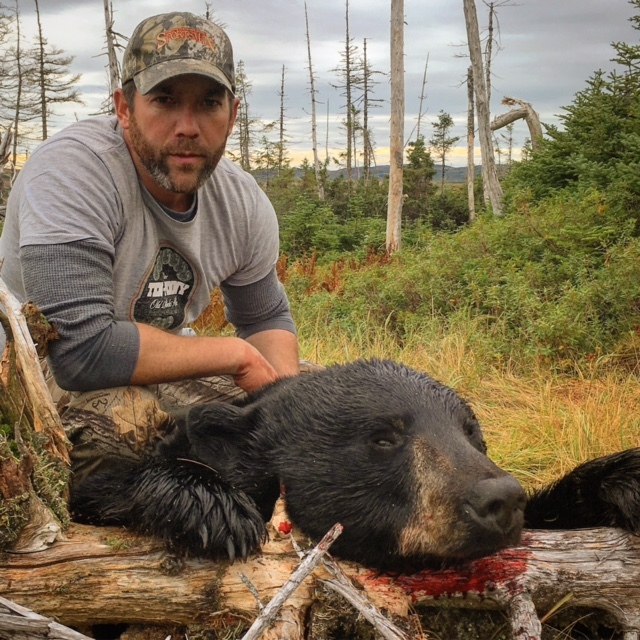 On an island with over 10,000 bears, our bear hunts are second-to-none. With the average male bruin weighing on average 300 to 400 pounds, studies done by the Newfoundland Department of Wildlife Newfoundland, indicate males are 37% larger (on average) than bears in the rest of North America. With bears in excess of 600 pounds harvested each year on the island, your chance of taking a record-acheiving animal is a real possibility. Our spring/fall hunts consist of baited tree stands located via walking, river boat, or a short ATV ride from the lodge. 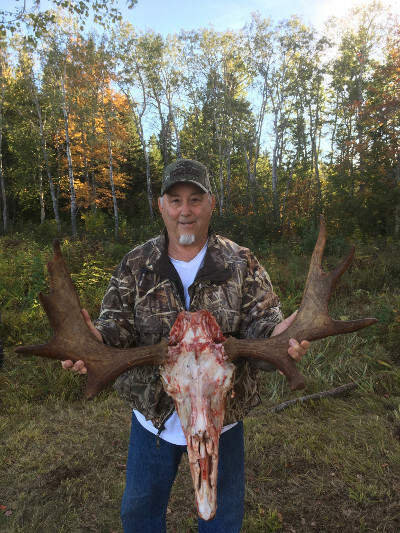 This hunt, like our moose hunt, is perfect for older and less mobile hunters. The hunt would consist of early morning and evening sits in the stands, as these are the most opportune time to harvest your animal. While not hunting, our clients are encouraged to try their hand at fly fishing for prized Atlantic salmon and Sea-run trout. Spring and fall salmon fishing on the mighty Gander is incomparable to any river on the island. We also provide a stumble on bear hunt option that can be paired with our 6 day moose hunt package. Bears are often seen feeding and traveling on the river while moose hunting. See our rates and packages page for pricing.